OK, so the Washington Humane Society's second annual Fashion for Paws runway show isn't until until April, but you can hit up a fundraising kick-off reception this Wednesday from 7-9 p.m. as a fitting (and fashionable) lead-up. Head to Teatro Goldoni (1909 K St. N.W.) for $5 doggie-inspired drinks all night, including a German Shepherd Shirley Temple and a Dirty Dachshund martini. Tysons Galleria will have a pop-up retail booth at the event, so fashion lovers can pick up a perfect outfit for the runway show in April. The Fashion Institute of Design and Merchandising from L.A. will also be dishing up some fashion for the reception. As this year's fashion sponsor, they are flying in their 2009 top-design student, Johnathan Webster and his Chanel-inspired collection to give us a little taste of what we should expect at the runway show. RSVP to Lindsay@teatrogoldoni.com to attend the event; a $20 donation fee at the door is suggested. Already looking ahead? 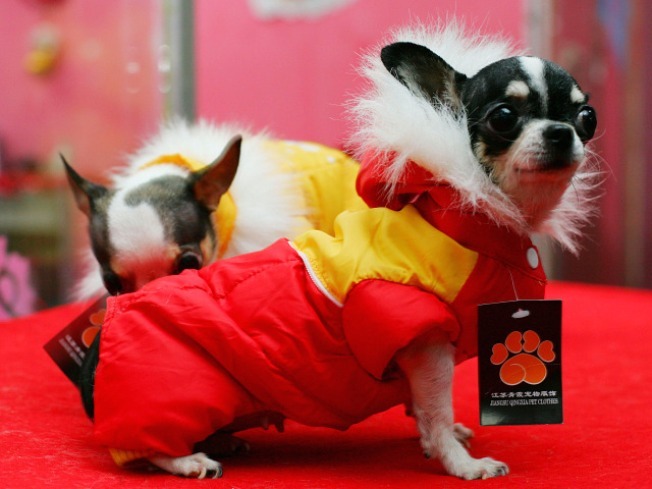 April 10's Fashion for Paws runway show will feature designer doggie couture -- as well as ready-to-wear men's and women's apparel for the two-legged set.